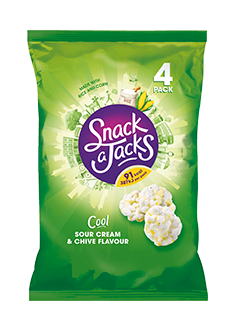 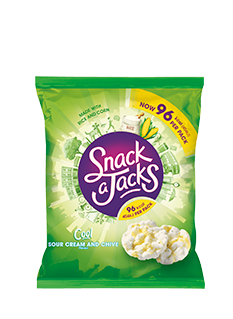 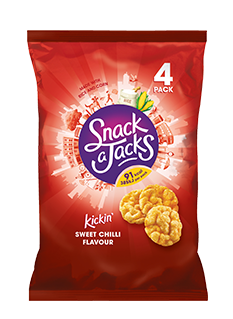 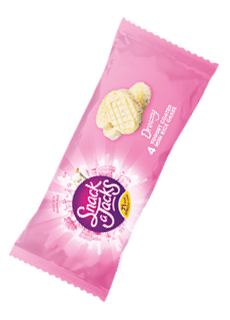 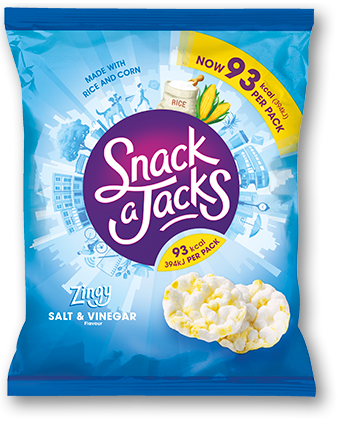 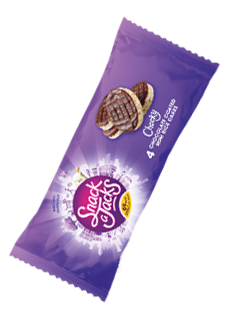 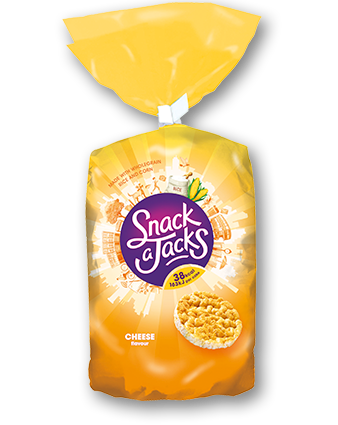 Sweet or savoury, Snack a Jacks are outrageously tasty! 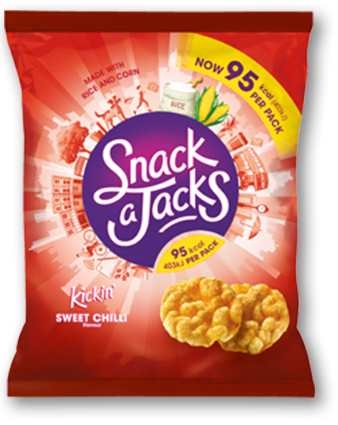 So whether you eat them on their own or spread with your favourite topping, there’s a deliciously crunchy flavour just for you. 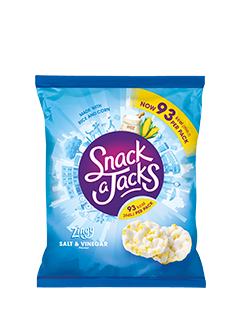 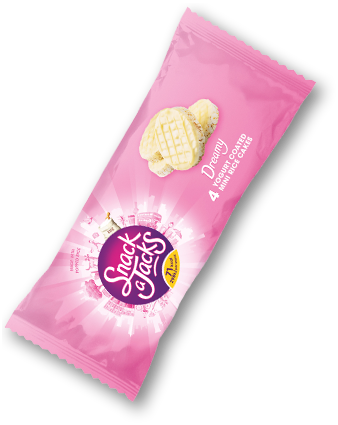 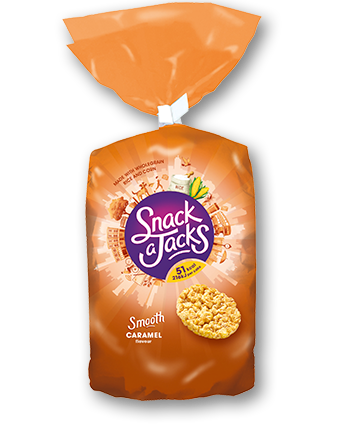 Snack a Jacks standard bags contains 121 calories or less. 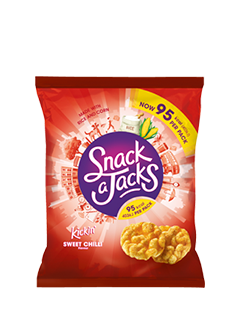 Snack a Jacks are suitable for vegetarians. 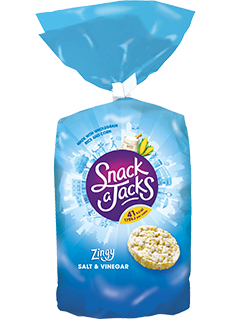 Rice, Maize (with germ removed), Sweet Chilli Flavour [Salt, Sugar, Flavourings, Spices, Milk Powder, Whey Powder (from Milk), Lactose (from Milk), Flavour Enhancers (Monosodium Glutamate, Disodium Inosinate, Disodium Guanylate), Acid (Citric Acid), Ground Chilli, Hydrolysed Soya Protein, Colour (Paprika Extract), Sweetener (Aspartame)], Sunflower Oil. 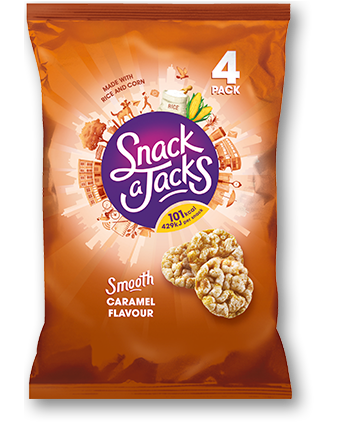 Made in a factory that also handles: Wheat, Gluten, Barley, Celery, Mustard. 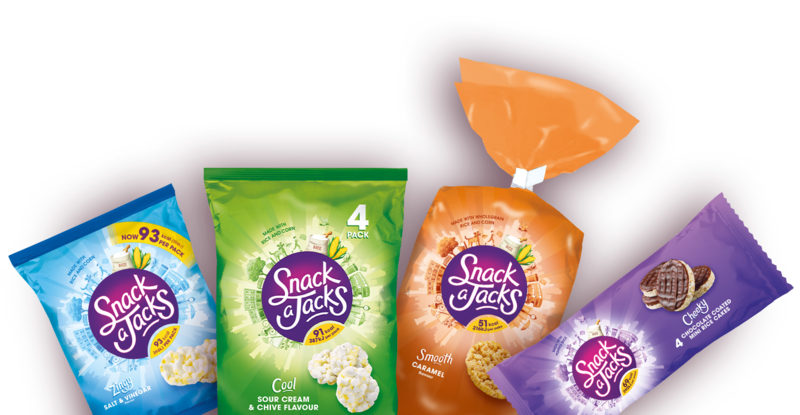 Made in a factory that also handles: Wheat, Gluten, Barley, Celery, Mustard, Soya. Rice, Maize (with germ removed), Salt and Vinegar Flavour [Flavourings, Salt, Sugar, Flavour Enhancers (Monosodium Glutamate, Disodium Guanylate), Acid (Citric Acid), Potassium Chloride], Sunflower Oil. 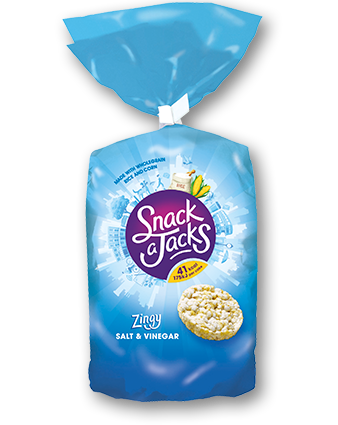 Made in a factory that also handles: Wheat, Gluten, Barley, Celery, Mustard,Soya. 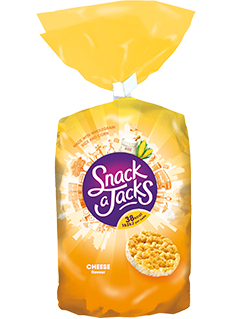 Made in a factory that also handles: Milk, Wheat, Gluten, Barley, Celery, Mustard. 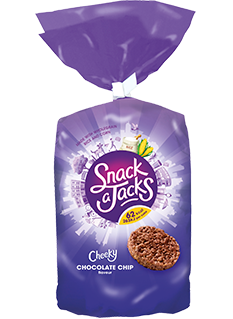 Wholegrain Rice (29%), Maize (with germ removed), Milk Chocolate chips (11%) [Sugar, Whole Milk Powder, Cocoa Butter, Cocoa Mass, Whey Powder and Lactose (from Milk), Skimmed Milk Powder, Emulsifier (Soya Lecithin), Natural Flavourings], Sugar, Glucose-Fructose Syrup, Cocoa Butter, Cocoa Powder, Emulsifier (Soya Lecithin), Chocolate Flavour [Flavourings, Milk Derivatives, Molasses, Burnt Sugar Syrup], Sunflower Oil. 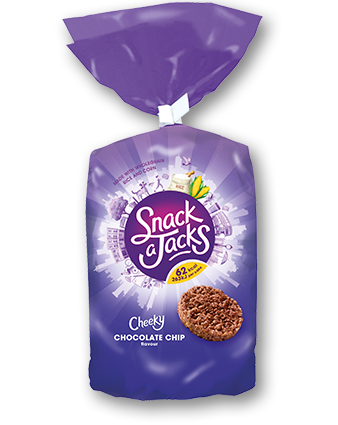 Milk chocolate chips contain minimum 25% dry cocoa solids. Milk Chocolate Coating (60%) [Sugar, Cocoa Butter, Whole Milk Powder, Cocoa Mass, Emulsifier (Soy Lecithin), Natural Vanilla Flavour], Popped Rice. 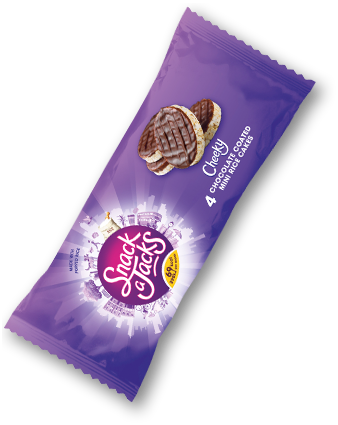 Milk chocolate Contains Milk Solids 14% minimum. 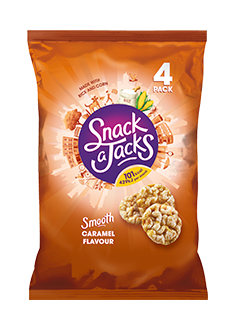 May contain: Nuts, Sesame Seeds. 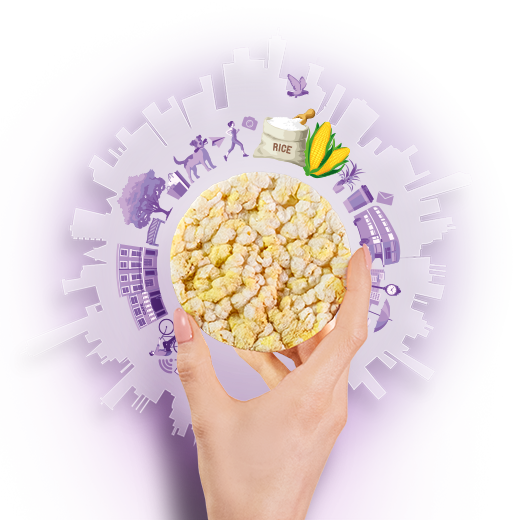 Yogurt Coating [Sugar, Cocoa Butter, Skimmed Yogurt Powder (9%) (from Milk), Full Cream Milk Powder, Emulsifier (Soy Lecithin)], Popped Rice.